The television ads for Uncharted 2 posit that it is indistinguishable from a movie to intellectually-deprived girlfriends, and to a certain extent, you can count me in with that statistic. For the first half of the single-player campaign, the relentless pacing, huge set pieces, wisecracks and other moments of levity really make you feel like you're in control of a huge Summer blockbuster. Seriously, even the tutorial segment is intense. This year's model has our hero chasing after a vaguely Eastern European war criminal named Lesarovic through Borneo and Nepal in search of the fabled Chintimani Stone, which is said to grant all sorts of awesome power, and as with all stories of this ilk, the Nazis also figure a way to be involved (tangentially). A new female lead, Chloe, is introduced early on (voiced by Claudia Black, making my inner Farscape fanboy cheer) and is an interesting contrast to Elena from the previous game. Plenty of old and new faces show up, love triangles are formed, backs are stabbed, treasure is acquired and lost, buildings explode with you in them, and you will develop nigh-50 Cent levels of hatred for helicopters. 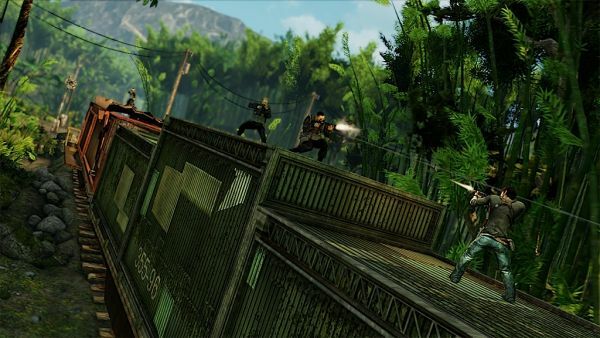 It consists of the same adventure plaformer meets third-person shooter elements of the original, and manages to fix a lot of the problems- most notably the shooting mechanics. This is one of the most memorable levels you'll play this year. Once the story comes full circle and you find yourself replaying the opening flashback, things begin to shift; rather than frantically navigating broken terrain while causing as many explosions as possible, the game takes a step back from the action and places our hero into a mostly silent setting where no one speaks English and he's not entirely sure where he is. It's this area, however brief your peaceful stay there is, that makes you realize you are absolutely wrapped up in the fate of Nate and his friends and despite the weaker, combat heavy area that soon follows this point, everything picks up nicely and ramps the Epic-o-Meter up to 11 again. By the time the game is complete (which took me 11 hours, 49 minutes on Hard), you'll feel enormously satisfied, as if you just watched one of the best popcorn movies you've ever seen. Graphically, this has to be one of, if not the best looking game of this generation. Great art will take a game only so far, but Uncharted 2 has the technical prowess to back up the considerable strength of the art direction. Considering that you're not lingering around in areas for too long, the fact that every individual room has been set up to appear unique is quite amazing. 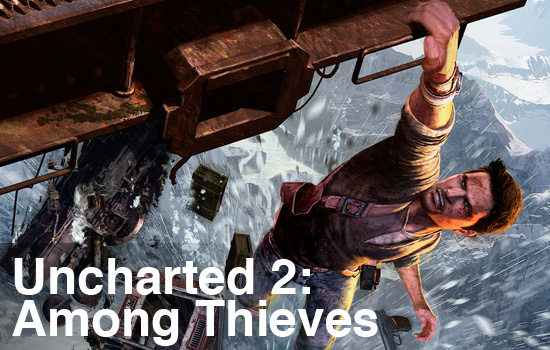 You could potentially double the game's length by searching for the well-hidden treasures and just admiring the world that Naughty Dog has created for you to play in. Page created in 0.2430 seconds.